The trends in technology are hard to predict. Along came the iPhone and it changed everything. Then along came the Nook. Yes, the eReader from Barnes and Noble. It is on its’ deathbed, as Barnes and Noble have moved the Nook section to the back of 600 stores in the US and seem to be going back to selling good old physical books. They even shut down their Silicon Valley R & D office for Nook and outsourced it to a firm in India who are doing a terrible job. Amazon seems to be taking over the world, but then Facebook has crumbled – with the latest news being that 50 million of its’ accounts have been hacked and they don’t know how or why. So yes, where technology is going next is anyone’s guess. It is just as difficult to predict corporate housing in Silicon Valley. One thing that everyone knows is that it is hard to find, because so many people come to Silicon Valley on short term contracts and need to find somewhere to live while they are here. If you are staying for a few months, you really don’t want to spend that long in a hotel, and in any case corporate housing in Silicon Valley costs a lot less – if you can find it. Fortunately, at Key Housing Connections we DO know where to find it. This is because we have been in the business of supplying corporate housing for many years, and over the course of time we have got to know many landlords, and in turn they have got to know us. We now have corporate housing in Silicon Valley on our books that you simply cannot find anywhere else because it isn’t advertised. Our landlords trust us to keep their properties filled because we have many people coming to us wishing to find corporate housing, so as one individual or family leaves a property we have another ready to take it over. This is one of the reasons that finding Silicon Valley corporate housing is so difficult for outsiders, because we manage a considerable amount of it and it doesn’t get advertised anywhere else. Whether you are coming from elsewhere in the US, from Canada, Europe, Japan, or China, we can provide the corporate housing that you need. So whether you are an individual needing a one bedroom apartment, or a family of four needing a three bedroom home, give us a call. 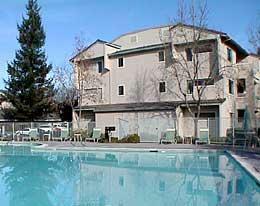 We have apartments and housing of all sorts available in Silicon Valley.